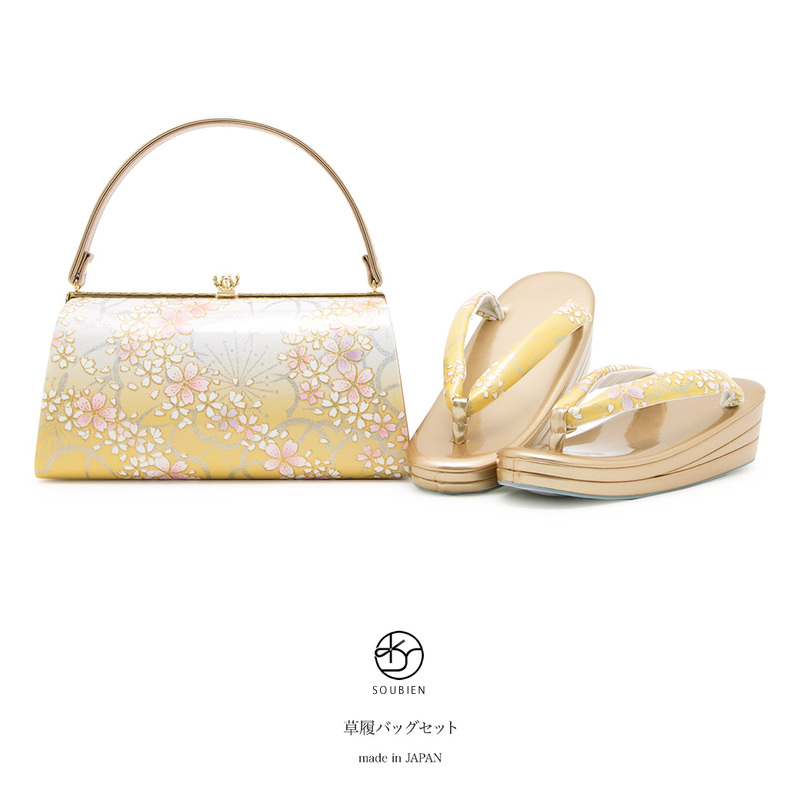 It is the sandals for the in Japanese dress, recommended woman of the special day and the set of the bag. 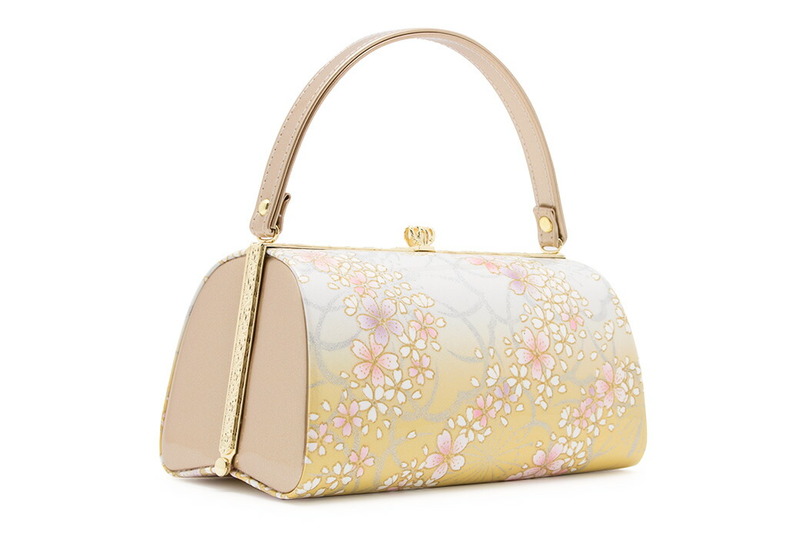 To a clean bag of the gradation and the sandal thong of sandals, the flowers of the cherry tree which dances, and is scattered which was described to pile on top of the double cherry blossom that beautiful lam shines are designed. This is made in Japan which an expert craftsman finished carefully. It is suitable for a coming-of-age ceremony and the clothing of the fine day including a long-sleeved kimono and the hakama of the graduation ceremony. 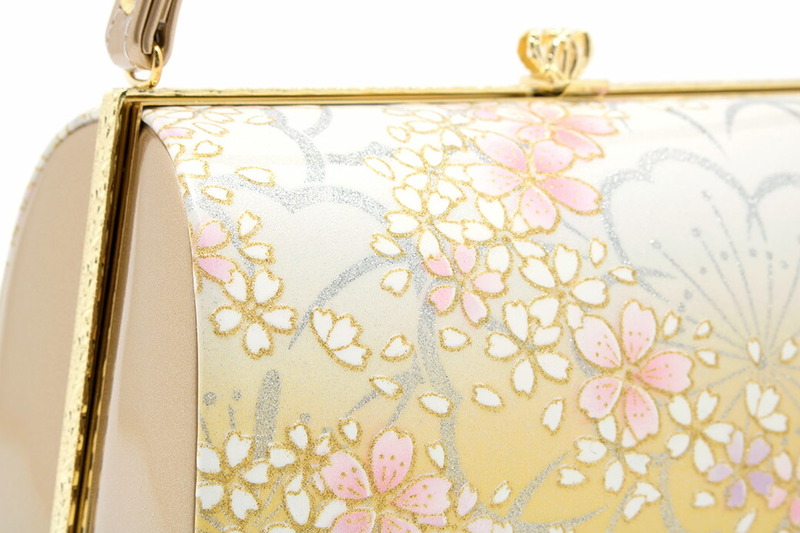 An opening part of the bag of the enamel is the golden frame which I made decoration on. As a mouth greatly opens, I know the contents at first sight and am convenient for the putting in and out of the thing. It closes well with a click, and there is security on the carrying around. 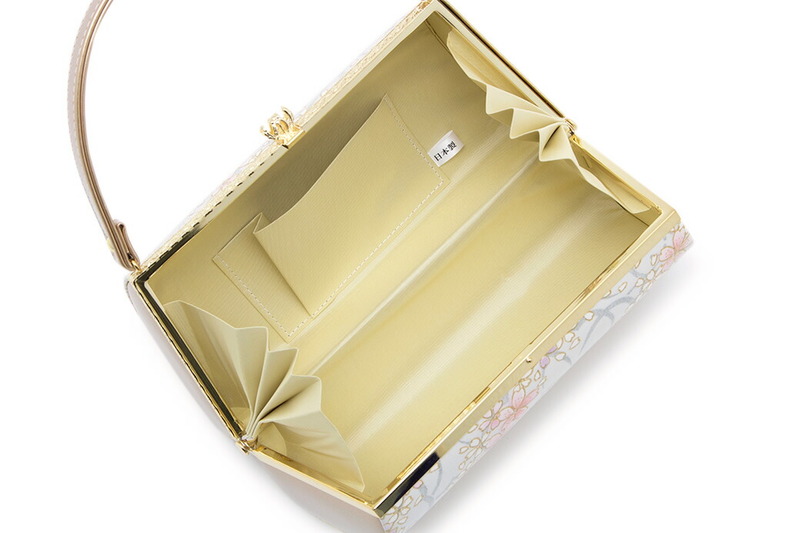 It is the practical size that I can store a wallet or a makeup porch, a cell-phone in. The compact inside pocket of the business card size is on and helps it to mediate a petty person, and to put it. 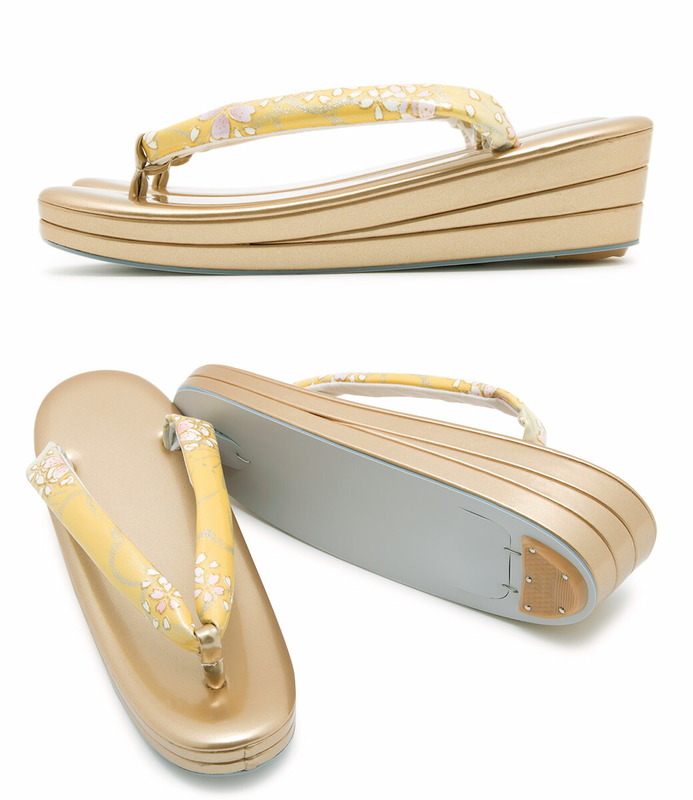 Moderate cushion characteristics are to the stand of sandals and reduce the burden to the legs during the walk. 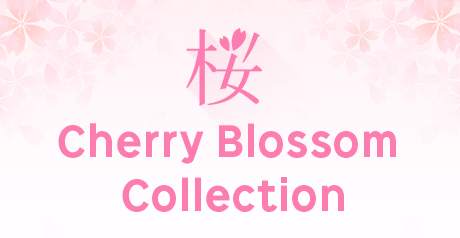 Not only I patronize it from the おしゃれさを step, but also support a comfortable kimono figure. 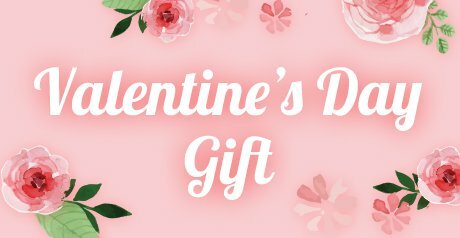 Including a coming-of-age ceremony and a graduation ceremony, it is recommended by all means at the opportunities of the invite to a wedding ceremony and a ceremony, a tea party or the party. The size that a foot is delivered to or the size that some heels are over when I wore it is recommended. It is said that the Japanese binding that a heel is over the footwear a little than a stand is smart, and it is cool. ※Because the shape of the sandal thong changes when the footwear such as sandals or clogs is tried on, I did not hear the returned goods after the trial. Please be careful.